Due letti queen size, ottima cucina e spazio vivente, e la migliore posizione a Boise! L'area River Run del sud-est di Boise rende Wood Duck la posizione migliore di entrambi i mondi. Questo tranquillo condominio appartato è a pochi passi dai sentieri da stagno d'anatra che conducono al sistema Greenbelt del fiume Boise. Incredibilmente tranquillo, ma solo ½ miglia da ristoranti eccellenti, a due miglia da BSU ea tre miglia dal centro di Boise. Questo condominio dispone di WiFi gratuito, una grande camera con camino a gas, comodo divano reclinabile, grandi finestre e tavolo da pranzo con posti a sedere per quattro persone. La cucina è completamente attrezzata con elettrodomestici moderni e bellissime cime di granito. La spaziosa camera da letto principale ha un letto matrimoniale e un ampio armadio. Il bagno completo include una vasca / doccia combo e lavatrice / asciugatrice. Una zona soppalco bonus, ha un letto matrimoniale e una zona soggiorno che si affaccia sulla grande sala. Il grande patio privato dispone di un grill a gas e un tavolo con sedie per i pasti all'aperto. C'è una porta tra il lavandino e la doccia / bagno in modo che più persone possono prepararsi allo stesso tempo. Molto vicino alla Boise State University! This condo is in a great location. It is very close to stores and restaurants and an easy drive to downtown. And yet it is tucked away in a natural setting with creeks and walking paths right out the door. The decor is comfortable and welcoming. The owners have provided everything you need and more. We absolutely loved our stay and have already booked for future visits! 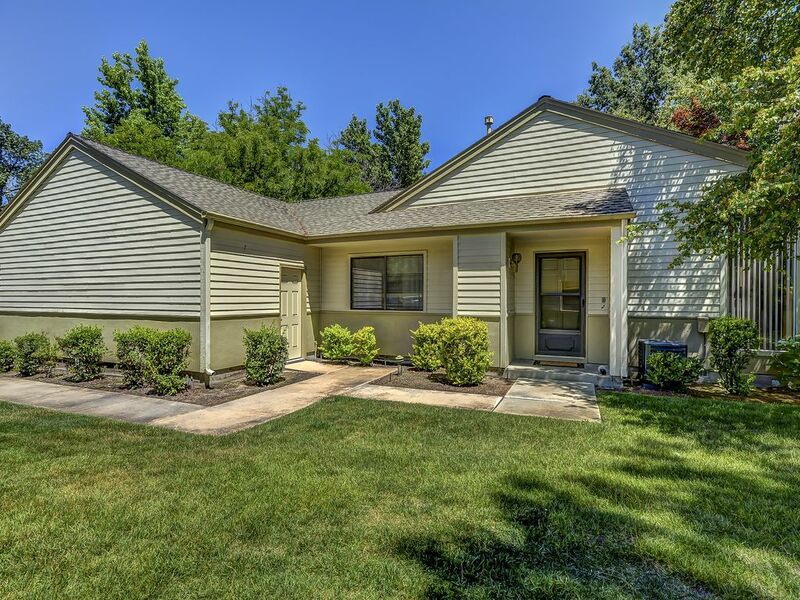 Wood Duck is a sweet condo nestled in the most beautiful location in SE Boise. The home is comfortable and nicely appointed with a nice private patio. Laura was a lovely host. She welcomed me and showed me around the property. I stayed for a month and loved walking through the grounds which connect to the Boise Greenbelt. The condo is a few minutes away from a shopping center with an Albertsons grocery store and the darling Westside Drive-In Diner. Great restaurants, parks and museums are five minutes away in Downtown Boise. We stayed here for a month over the Christmas holidays as we visited family and friends. The condo has a great location. It is in a quiet, peaceful setting with mature landscaping, water and walking trails. It was very clean with nice décor. We appreciated the fact that non-fragrance products were used in cleaning, lotions, etc. The kitchen was well stocked and organized. The bed was very comfortable with nice linens. We enjoyed being in the living room with the fireplace on and watching a pair of ducks splash in a little pond. The living room furniture was also very comfortable. This is a special, relaxing place that is very welcoming. A great detail of thought has gone into making this condo truly feel like a home away from home. We were very pleased with the space of the kitchen, and how well stocked it was. We stayed for 3 nights, and cooking was a large portion of our time while staying. The condo was well insulated, we couldn't hear the neighbors at any point during our stay. The location was ideal; it felt private with the walking paths along the creek and the greenbelt, but only minutes away from downtown Boise. This condo is not flashy, but felt cozy and comfortable. Loved the gas fireplace! Our only negative was the subdivision maintenance crew starting work at 7:00 AM on two mornings, however, we understand that is out of the hands of the VRBO owner. Thank you for the lovely review! Our guest's comfort is our priority and I am happy to hear that the Wood Duck condo met all your needs. We look forward to having your family as our guests again in the future.